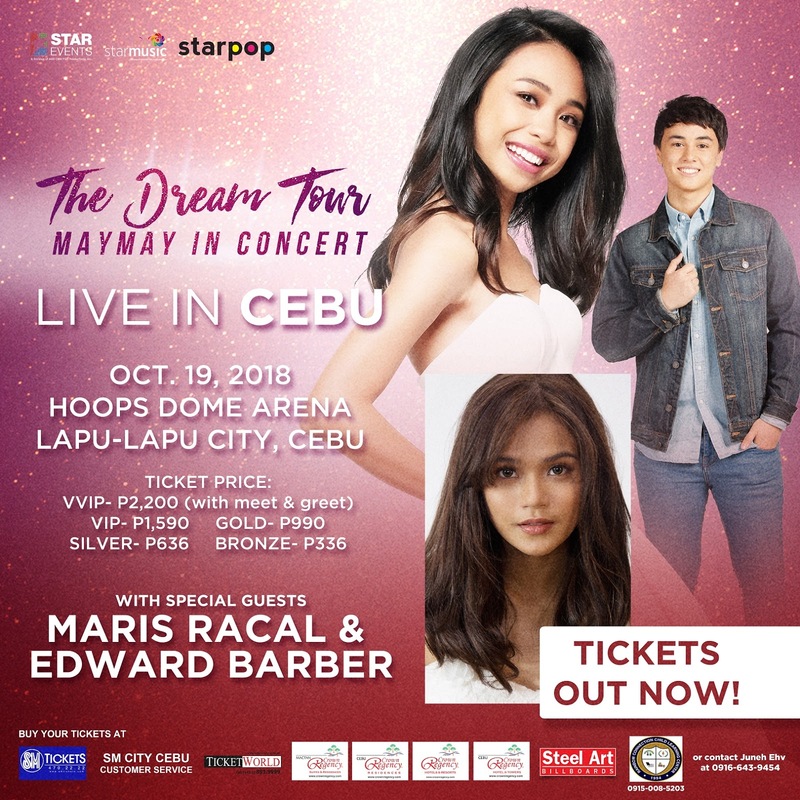 One of today’s hottest young artists, Maymay Entrata, goes to the Queen City of the South on October 19 (Friday) for the much-awaited musical event–“The Dream Tour Maymay in Concert Live in Cebu”. Catch the Star Pop singer as she performs the MOR Pinoy Music Awards 2018’s Song Of the Year “Shanawa,” and her other hit songs ”Kabaduyan,” “Toinks,” “Baliw,” and a lot more. Joining Maymay are Maris Racal and her onscreen partner Edward Barber. The show will be held at the Hoops Dome Arena, Lapu-Lapu City and will start at 8 PM. 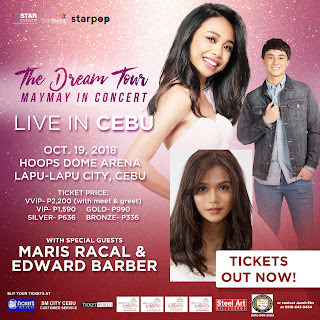 Grab your tickets now at SM Tickets, Ticketworld, SM City Cebu Customer Service, and Rainbow Connections for only P2,200 (VVIP ticket with meet and greet session), P1,590 (VIP), P990 (gold), P636 (silver), and P336 (bronze). For more details, follow Star Music on Facebook, Twitter, and Instagram @StarMusicPH.